Various marine fuel-related issues to be covered at next week's MEPC meeting in London. The International Maritime Organization's (IMO) Marine Environment Protection Committee (MEPC) is meeting for its 73rd session in London between October 22-26. During the meeting, a number of bunker-related issues are scheduled to be discussed, including the implementation of the global sulphur limit in 2020; the reduction of greenhouse gas emissions from ships; the use and carriage of heavy fuel oil as fuel by ships in the Arctic; and work on the energy efficiency of ships. 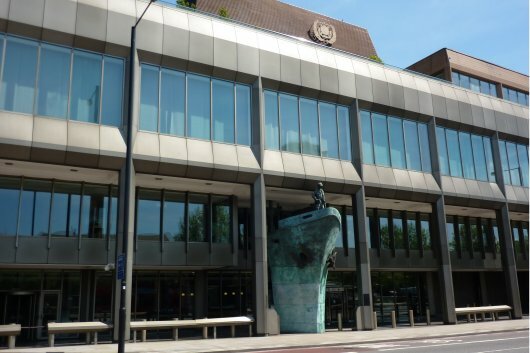 October 22-26, 2018, at IMO Headquarters in London. The new lower 0.5 percent limit on the sulphur content of marine fuel will be in force from January 1, 2020, under IMO's MARPOL treaty. The new limit will be applicable globally, while in designated Emission Control Areas (ECAs) the limit will remain even lower, at 0.1 percent. The January 1, 2020 implementation date was adopted in 2008 and confirmed by IMO in October 2016, giving certainty to refineries, bunkering and shipping sectors. IMO has been working with member states and the industry to support the implementation of the new limit. MEPC 73 is expected to approve ship implementation planning guidance as well as best practice guides for member states/coastal states and for fuel oil suppliers. Enforcement, compliance with and monitoring of the new sulphur limit is the remit and responsibility of states party to MARPOL Annex VI. The MEPC is expected to adopt a complementary MARPOL amendment, which will prohibit the carriage of non-compliant fuel oil - unless the ship has an exhaust gas cleaning system ('scrubber') fitted. Adoption of this amendment would not change in any way the entry into force date of the 0.5 percent limit from 1 January 2020. It is intended as an additional measure to support consistent implementation and compliance and enforcement by states, particularly Port State Control (PSC). Most ships are expected to utilize new blends of fuel oil which will be produced to meet the 0.5 percent sulphur limit. Currently, the maximum sulphur limit in fuel oil is 3.5 percent globally and 0.1 percent in the four ECAs: the Baltic Sea area; the North Sea area; the North American area (covering designated coastal areas off the United States and Canada); and the United States Caribbean Sea area (around Puerto Rico and the United States Virgin Islands). The MEPC is expected to develop and agree a programme of actions to implement IMO's Initial Strategy on the reduction of GHG emissions from ships, which was adopted in April 2018. An Intersessional Working Group, meeting the week preceding MEPC 73 (15-19 October), will initiate this work and report to the Committee. Under the identified 'levels of ambition', the initial GHG strategy envisages a reduction in total GHG emissions from international shipping which, it says, should peak as soon as possible. Total annual GHG emissions from shipping should be reduced by at least 50 percent by 2050 compared to 2008, while, at the same time, efforts should be pursued towards phasing them out entirely. Feeding in to the process towards adoption of a revised Strategy in 2023 will be the data collection system on fuel oil consumption of ships over 5,000 gross tons, which begins on January 1, 2019; and a fourth IMO GHG study, to be initiated in the first half of 2019. IMO has agreed that its Sub-Committee on Pollution Prevention and Response (PPR) should develop a ban on heavy fuel oil for use and carriage as fuel by ships in Arctic waters, based on an assessment of the impacts of such a ban. MEPC 73 will consider, with a view to approval, an appropriate impact assessment methodology process. The MEPC will receive a report on progress by the correspondence group on review of the Energy Efficiency Design Index (EEDI) 'beyond phase 2'. The correspondence group has submitted an interim report to MEPC 73 with a final report due to be submitted to MEPC 74 (Spring 2019), providing a recommendation on the time period and reduction rates for EEDI 'phase 30' requirements. This could lead to a tightening of requirements for certain new ships. All 172 IMO Member States and three Associate Members may attend as well as all Parties to MARPOL. Intergovernmental organizations and international non-governmental organizations are also invited. Final report and working group reports are expected to be approved on Friday, October 26. Amendments are expected to be adopted on Friday, October 26.